Polished 18kt white gold case, crown & chronograph buttons. The top half of the dial is slightly raised & features a delicate design of 9 sunburst rays - this portion of the dial features the current time sub-dial with fine printed black roman numerals. The bottom half of the dial is slightly recessed - this portion of the dial features the chronograph sub-dials & the date window. Fine black printed seconds track spanning both levels of the dial on the dial perimeter. Bezel set with a single row of 40 diamonds. 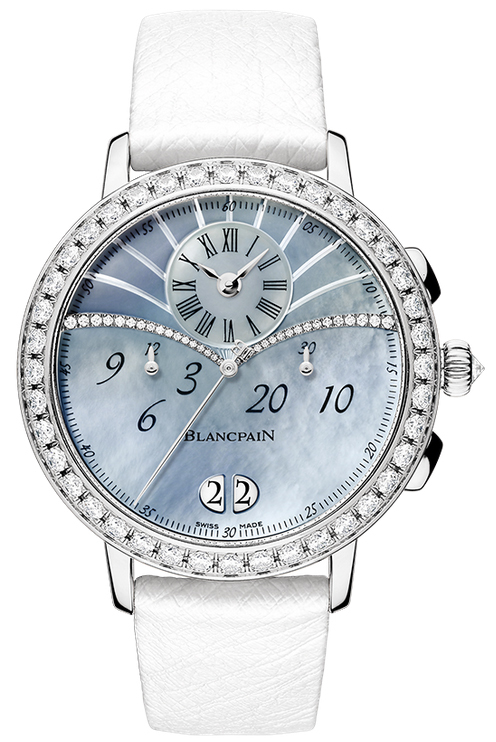 The two tiers of the dial is punctuated by 2 stylish rows of 17 diamonds each. Total carat weight of the diamonds is approximately +/-2.24 carats. 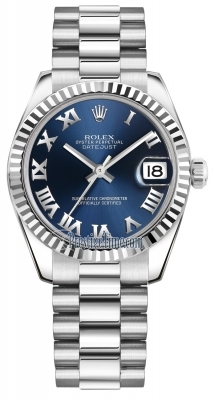 12 Hour counter sub-dial located a the 9 o'clock position. Large double date window displayed at the 6 o'clock position. 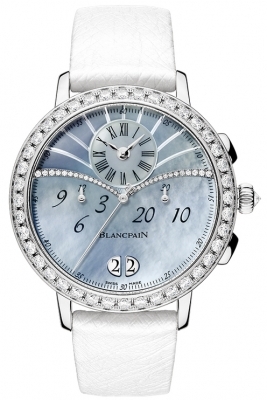 Blancpain Caliber 26f8g, beats at 28,800 vph, composed out of 495 parts, contains 44 Jewels & has an approximate power reserve of 40 hours. Rotor: full petaled flower design.